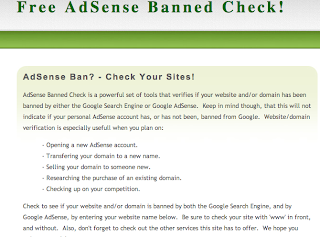 When you are buying an old domain from somebody, sometimes it is hard to tell if the site has been banned from Adsense because sometimes people place a code from another Adsense account so they can attract buyers. 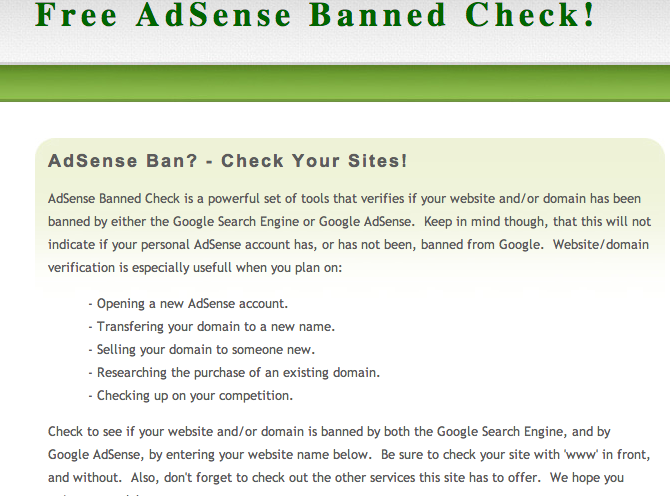 Before you purchase a domain, you need to check and double check if the site is in the Adsense program or has been blacklisted. To check a specific url. Type in the address and hit enter and you are good to go.